Over 3 Million Success Stories! At Pioneer Podiatry, we specialise in using world leading treatment techniques to provide you with the best treatments available for your foot and leg pain conditions. 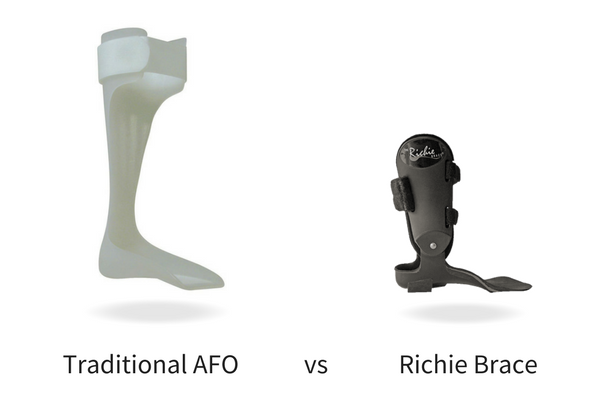 The Richie Brace® is a highly specialised, next generation improvement on the standard traditional AFO and ankle braces design. It is characterised a low profile design using a low weight materials, which allows much more freedom of movement, less pain, and much easier shoe fitting. Depending on the injury or condition we are treating, we find many of our patients can recover and stop needing to wearing their brace at an average of 12 months. The main objective of the Richie Brace is "Restoring Mobility", and this is written on every brace. All our Richie Brace's can be designed and fitted by our expert foot doctors at our main flagship clinics.